Along with a plethora of iPhone and iPad cases were an equal amount of headphones, some entry level, others toting B-list celebrities, all boasting high end sound. 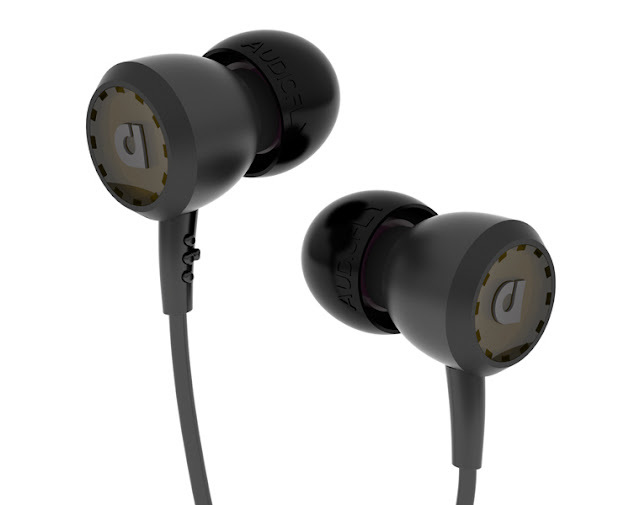 Tucked away in the corner of the convention center floor was a headphone company by the name of Audiofly. This was a smaller booth with a wide variety of ear buds and some live music playing, with a lot of traffic. We got the pleasure of getting a tour from two very knowledgeable representatives and provided with the entry level AF33's which we were told retailed for $29.99. These were a rather impressive headphone for the price point, so I figured I would let you, our loyal readers have the chance to see what we thought. To say these are cheap headphones would almost be blasphemy, though the price point for these buds are very competitive to a huge number other headphone and ear bud providers out there, as these outperformed almost all that we have reviewed at twice their price. The AF33's have a modern look and comfortable feel, but along with that have a 9mm driver and provide great noise isolation. The range was the meat and potatoes though, as they did not distort on 80 percent volume from my iPhone, listening to a range of music from Jazz to Rock and even a decent amount of bass from rap and hip-hop. The only issue I had was with the right side staying in my ear, though the set I got only had one size of silicon tips, the retail version boasts three sets of tips, no word on if sizes vary. They also have a trademarked Clear-Talk technology that split the mic from the button for improved voice transfer. If these are only the entry level, I really want to see what the others bring to your ear holes.